Tourists go to New Orleans to go walk down Bourbon Street with hot pink foot tall plastic cups filled with booze. You know, for the most part. So it would seem antithetical to THE ANTI TOURIST that I write about a hotel on Bourbon Street, owned by Ramada no less, right? Well, yeah, right. But here’s the thing: I did find myself at The Inn on Bourbon a few months ago and while it was a lot of things I could have predicted (always awake with the sounds of Bourbon Street just below, filled with drunks walking down the halls, etc. ), there were some things I honest-to-goodness did admire about this place and it feels only right to at least share those points. 1.) This might sound silly, in fact, it is silly, but I liked the soap there so much that I (shhhh!) took a bunch home with me. 2.) The beds were OUT OF THIS WORLD. I mean, oh man. 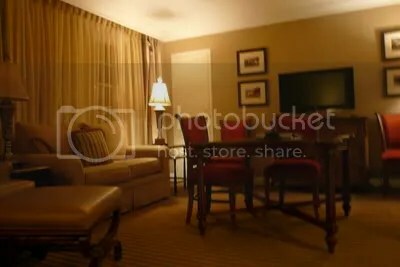 I had the pleasure of having a suite with two king beds and I slept in both just for fun. 3.) 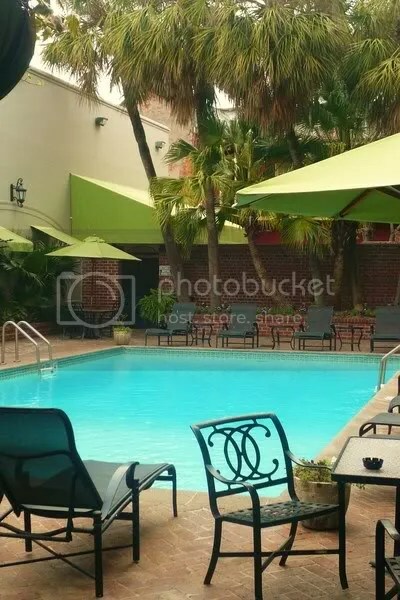 The pool in the courtyard IS in fact a fun getaway from the noise of Bourbon Street, especially in the NOLA heat. So, if you are going to New Orleans for Bourbon Street (and really, that’s ok! It can be fun! I had fun!) alone and are looking for accommodations right ON Bourbon Street, then yes, why not, try The Inn on Bourbon Street. It was totally comfy and as welcoming as they come. < Previous Ok, Fine, Chef John Besh Impresses Me.